At Fine Life Limassol, our accounting department offers tailor-made solutions customized to the specific needs of each client, thus ensuring that you achieve greater control over your statutory reporting position and realize your financial goals in the most cost- and risk-effective way. 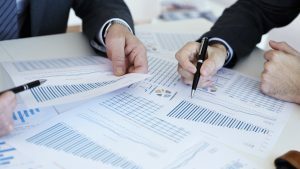 Our experienced team of accountants uses computerized accounting software to prepare the necessary statutory accounts and management reports in accordance with International Financial Reporting Standards (IFRS) and local regulations, at a monthly, quarterly, or annual basis. Initial setup of computerized accounting system. Reconciling the bank balances monthly with the bank statements. Compliance with statutory filing deadlines. Increased control over your statutory reporting position. Full compliance with local statutory requirements. Increased efficiency and reduced information risk.